The world of online gambling is undergoing a number of changes at the moment, most notably the introduction of the 2014 Gambling, Licensing & Advertising Bill late last year which saw significant changes made to the tax system for the gambling industry. 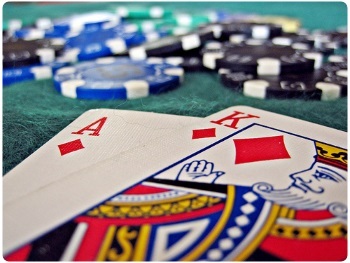 While the fact casinos are now required to pay the tax in order to receive a permit from the UK Gambling Commission may result in a number of operators pulling out of the UK, betting fans look set to be the winners as new companies prepare to enter the market and offer punters more protection and a better chance of winning than ever before, most notably new startup casino Get Lucky. Under the new regulations, online casinos trading in the UK are now liable for tax at the point of consumption as opposed to the point of supply, meaning even those online casinos based outside the UK will have to pay tax in Great Britain. Up until the introduction of the new regulations, casino operators based in the likes of Gibraltar, Alderney, the Isle of Mann or Antigua were able to get around paying tax in the UK. The new laws mean those operators are now required to pay 15 per cent tax on their gross profits from bets placed in the UK no matter where the company is based. The changes to the tax system may have led some betting fans to fear that their gambling options would be significantly restricted, but it could well be that punters are going to have a wider choice of online casinos. A number of online casino start-ups are preparing to enter the market confident that these new regulations will have huge long-term benefits for both themselves and those gamblers visiting their casino. Take new casino Get Lucky, for example, who are preparing to enter the market and offer punters more protection, games and better chances of success than those operators cutting their losses and running following the regulation changes. While Get Lucky is still yet to officially launch, there is plenty of excitement building around the online casino due to whispers that the site will play host to almost all slot jackpot games currently in the UK gambling market, including established brands such as Mega Moolah, Gladiator, Hall of Gods and Mega Fortune - all of which boast jackpots in excess of a million pounds. But the hype surrounding Get Lucky does not stop with their impressive array of slot games. The loyalty bonus scheme that Get Lucky will offer punters could be one of the biggest game changers the betting industry has seen in recent years. While other operators offer loyalty bonuses, rumour has it that Get Lucky will allow punters to convert their loyalty points into real cash that can be withdrawn straight away. That is instead of having to jump through ridiculous hoops in order to see any actual financial return on their bonus. So, as well as giving punters the chance to play popular slot games, Get Lucky could be set to shake the industry up with a loyalty scheme that has not been seen before.